Not sure where to start on your mouth organ? Learn to play the harmonica today. Get advice on harmonica tabs, learn how to hold a harmonica, how to breath with a harmonica, how to play single notes or even how to bend notes. 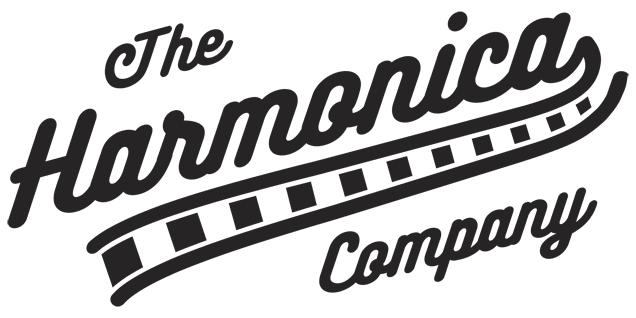 The Harmonica Company have a special FREE course from Ben Hewlett just click the link below. Our resident teacher Ben Hewlett CTABRSM is on hand (via skype lessons) to offer professional harmonica lessons. Ben is the chairman of the National Harmonica League (NHL) & has been a professional harmonica instructor since 1996. Contact Ben on: 07973 284 366 or benhewlett@me.com – if you have any harmonica related questions or you wish to book a lesson. Life seems to have given Ben a mission – to play the harmonica, and encourage others to play the harmonica. Ben recently got the top job in the UK harmonica community – as chairman of the National Harmonica League. However it’s not all to do with the harmonica, Ben does other things as well, like playing trumpet, uke, didgeridoo, khaen, jaws harp, bodhran, nevertheless Ben is mainly teaching and playing the diatonic harmonica. Ben is the most prolific harmonica tuition author in the UK with 20 books and 50 video courses written – and there’s more where that came from. Accredited Diatonic Harmonica Teacher 1993 – HTAB (Harmonica Teachers Accreditation Board, supported by Lee Oskar Harmonicas, the National Harmonica League of UK and the International Harmonica Organisation). “I have been teaching people to play harmonica since 1996 as a full time job. I have started tens of thousands on their way to play the harmonica and I can tell you – it sure beats working! I believe I was the first person to be a full time harmonica teacher in the UK, there are still very few of us – so there’s plenty of room if you want to come and join me. Recently I have become the Chairman of the National Harmonica League (NHL) which supports the UK harmonica players community. Much of my time is spent writing books with Paul Lennon on how to play the harmonica, there are 20 or so with loads more in the pipeline – we have so many ideas it never stops. I teach children near home, and with my team at HarpsCool where the team and I give 300 children weekly harmonica lessons. My YouTube videos, and their success and feedback, are the reason I am teaching on Udemy.com. Take a look and if you see a course you like contact me for a discount – don’t buy direct from the site; there are millions of hits on the youtube sites and thousands of subscribers. People are kind enough to say how clear the teaching is, and how it’s helped them to understand aspects of harmonica playing – at last! I run workshops at major harmonica festivals including SPAH in the US, the Bristol International Harmonica Festival in the UK, the World Harmonica Festival in Trossingen, Germany – home of Hohner, and the Harmonica Masters Workshops also in Germany. I even use the harmonica in team building events for many international companies. Cruise Ships were part of my teaching life from 2002 to 2012 and the combination of teaching, performing and travelling is quite a blast. Who knew teaching the harmonica would take me to the Caribbean three times, Africa, Russia, Scandinavia, and Atlantic Europe – seems hard to believe now, but I have photos to prove it! You will often find me performing in various venues and going to jam sessions, and I love playing with interesting groups or sitting on a number when the opportunity arises – that’s one of the wonderful things about the harmonica, you can have it in your back pocket and join in with people wherever you are. As well as teaching the harmonica, JP Allen has played as an artist on CNN, Fox News, and recorded and performed with Grammy-nominated Abra Moore. Over the last 25 years, JP’s quick and simple approach to learning has made him one of the world’s most popular harmonica teachers. His teaching methods were honed and refined in the 1990’s, where he taught harmonica at the University of Texas and was one of the first harmonica teachers to create a fully accredited harmonica course at the Austin Community College. In 1988, JP graduated from Northwestern University with a pre-medical degree and then used his experiences attending New York Chiropractic College to become one of the first harmonica teachers to explain harmonica techniques in a way that is anatomically accurate, further improving his unique and effective teaching methods. 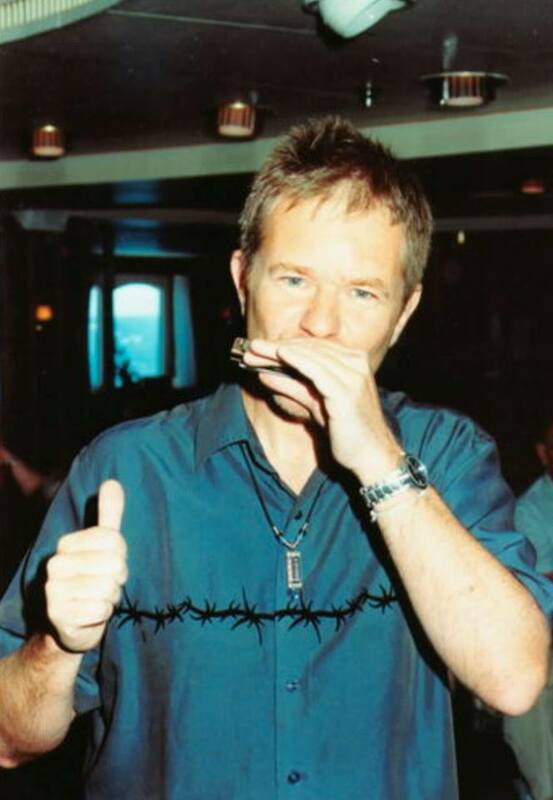 Currently, JP owns and operates Harmonica.com in Hawaii and is one of the most recognised and appreciated harmonica teachers, getting over a million hits to his website every year.